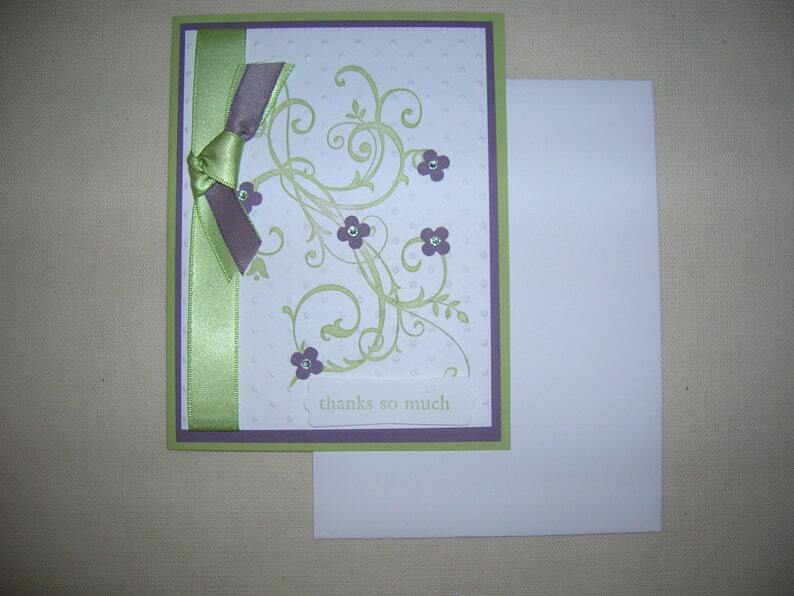 One hand stamped thanks so much greeting card. The card features polka dot embossed card base, punched small flowers, rhinestones, and two colors of satin ribbon. Size 41/4" x 5 1/2". Made out of only quality Stampin Up products.